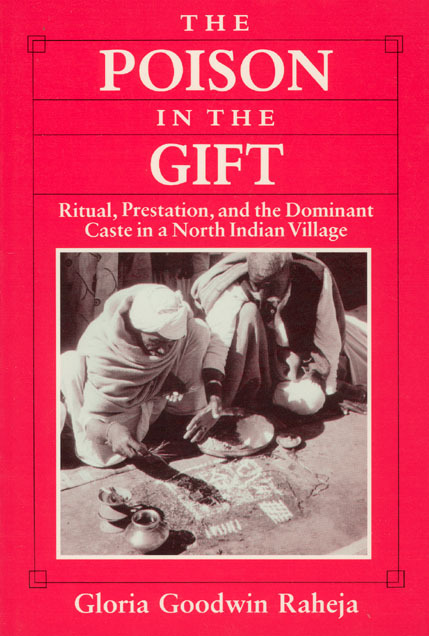 The Poison in the Gift is a detailed ethnography of gift-giving in a North Indian village that powerfully demonstrates a new theoretical interpretation of caste. Introducing the concept of ritual centrality, Raheja shows that the position of the dominant landholding caste in the village is grounded in a central-peripheral configuration of castes rather than a hierarchical ordering. She advances a view of caste as semiotically constituted of contextually shifting sets of meanings, rather than one overarching ideological feature. This new understanding undermines the controversial interpretation advanced by Louis Dumont in his 1966 book, Homo Hierarchicus, in which he proposed a disjunction between the ideology of hierarchy based on the "purity" of the Brahman priest and the "temporal power" of the dominant caste or the king.